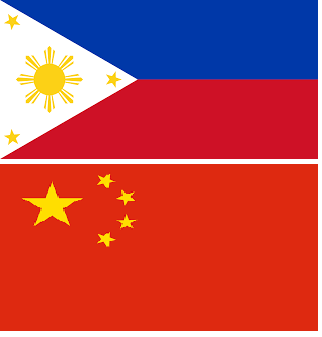 What if China and Philippines become great allies? Do you foresee what will happen? Maybe, this time, Filipinos and Chinese should open their eyes and minds. Two countries have the same in common, both are in the same region. Exchange of product is tough. What is the advantage of alliance? The countries can build a strong economy in the world stronger than Europe and other continents. But of course UN and US is afraid if this happens, that is why they keep close to the Philippines. What if the Philippines will EXIT in the United Nation? If we think on the positive side, of course, a lot of things will happen. One of this is, the Philippines may gain strength in the economy, more powerful than other countries. but expect the counter effect, the UN may sanction the Philippines for not abiding the treaty. Is the US is a great help in the Philippines? Maybe there are some circumstances that our allies had help us. But why they keep strong ties in the Philippines, maybe one reason is that they enjoy freedom to operate and manipulate the country and region? Look at the country that they manipulated, what had happened to Iraq? when the government had refused to cooperate, they did a manipulation in order to start a war. Well, we do not have enough evidence but if we deeply analyze the root cause and reason, we will know why the war had started. And it is the same now happening in Syria. And now Philippine president seems to oppose to UN and US. So we hope and pray that the manipulation of the US and UN may not lead into another war which will ruin the richest country in the world. 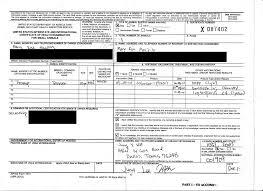 MAYOR'S PERMIT, BURDEN TO JOB APPLICANTS? Have you wonder why there are so plenty of requirements needed before you start your new work? Do you know how much this cost? it cost nearly 500 pesos. But what is the real essence why you need this one? or does this really have the importance? The answer is NO. Before the applicant can start the work they are required to submit a medical test, so what is the use of the health certificate secured from the city hall and municipalities? 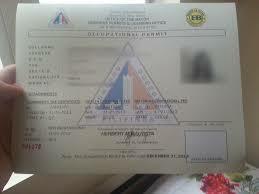 Mayor's Permit, why this is badly needed when an applicant landed a job? does an applicant still have to consult the mayor in order to acquire a job? or why do we have to pay the mayors? was it because we landed a job because of the mayor? of course not. The reason why people apply for a job is to have money, and before they can start the work their pocket is empty. But why this government keeps in giving burden to the applicants? Think deeply why the government had to keep on giving the burden to applicants? The highly urbanized city cannot deny the fact that they can collect a huge amount of money, they can even make million in a day. Does the government has helped you to land a job? of course NO. They even squeeze you until your last drop. I hope everyone had been enlighted and the National government will see the real problem of the society. 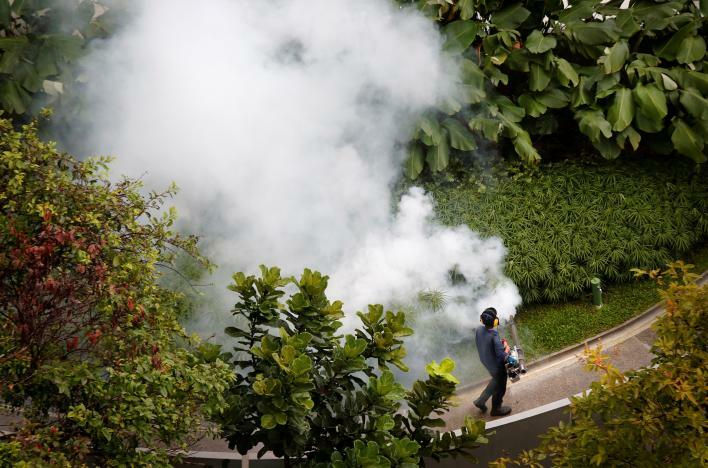 SINGAPORE and HONGKONG confirmed of ZIKA virus case? In Singapore, it was confirmed by Ministry of Health that they have the total of 41 cases of Zika virus. The infected are the foreign construction workers. Now the authorities had inspected the dormitories of the infected foreign workers and all of the had undergo the testing. PRESIDENT ROGDRIGO DUTERTE CALL FOR SEN. DE LIMA TO RESIGN? 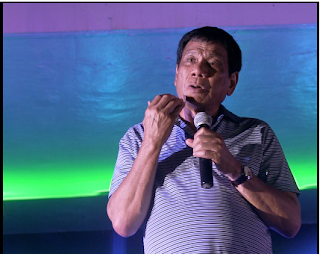 President Duterte calls for Sen. Laila De Lima to resign with his speech in Tacloban City. "If I were De Lima, ladies and gentlemen, I'll hang myself," the President said. "The innermost of your core as a female is being serialized everyday. Dapat mag-resign ka [You should resign]," he added. "Anong ipapakita mo sa mga babae? [What example will you show other women?] Follow me, sabihin mo...This is how to be a woman of the world." Sen. De Lima had been accused by Pres. Duterte for her alleged boyfriends who are involved in drug trades. But still Sen. De Lima denies all the allegations against her. She said "Resignation at this point will be an admission of guilt and a sign of weakness", and adds she is "neither weak nor guilty." "It is only natural to self-preservation that one does not rely on the suggestions of those who want to see you extinguished and who wish your destruction," the senator said. she was asked if there is a possibility of attending an inquiry at the House of Representatives. she replied, "And then you think that House Speaker will be anything near fair to me? I'm finished insofar as the President is concerned kaya nga ako pinapa-resign. Tapos haharap ako dun? Wala na kong kahihiyan sa sarili ko nun ah" [that's why he wanted me to resign. Then I will attend the probe? Do I not have any shame left for myself? 80 YEAR OLD WOMAN CAUGHT BURN UP NT$1 MILLION IN A TEMPLE? Taiwan- An 80 years old woman had been caught throwing a cash worth NT$1 million. (1.46 million in philippine peso) into the burner set up in a temple. 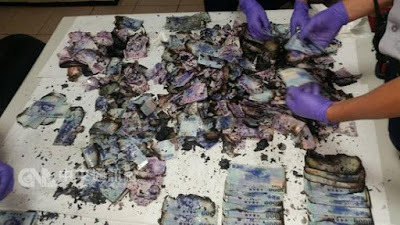 She was spotted tossing stacks of bank notes into a joss paper burner outside a Tudigong (earth god) temple on Zhongzheng Road in Tamsui which she then proceeded to light on fire using a candle. Within seconds, the bills were engulfed in flames, police said citing a woman surnamed Chen who was also in the temple at the time. Chen reported, adding that she found the bills to be genuine and then struggled to retrieve the unburned notes using a broom. Meanwhile, other worshippers at the temple also worked to save the cash by extinguishing the fire, according to Chen. After four hours of work, about 80 percent of the banknotes worth an estimated of NT$1 million were recovered, according to authorities. During the Police interview , the woman say, she was been upset because her son had refused to accept her gifts. So decided to burn up in a temple. The woman is facing charges with her alleged destruction or defacement of Taiwan currency. But due to her age, she may spare by the government. 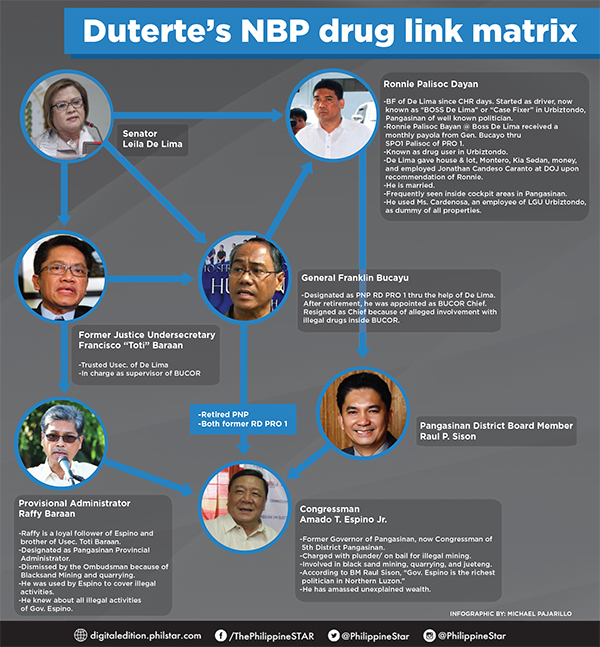 SEN. LAILA DE LIMA 'LAUGH OVER THE NBP DRUG MATRIX? Sen. Laila De Lima had just laugh over the allegations of President Rodrigo Duterte about in her involvement of NBP drug Matrix. During her surprise visit in the press room of senate. She decries in all the evidence that the President had presented. She said, “This whole madness is almost laughable. Nung nakita ko ang matrix, natawa na lang ako at naawa sa Pangulo . It’s a scrap of paper, it belongs to the garbage can,” she told reporters in the press room of the Senate during a surprise visit. “May typo, wrong English, have you seen anything like this and the President will publicize it? It’s hastily prepared so the President would have something to present,” she added. RUFA MAE QUINTO; 3 MONTHS PREGGY? While up to now, social media are talking about the rumored pregnancy of the comedian actress. still, there is no confirmation whether Rufa Mae Quinto is 3 months pregnant. In her Instagram, she posted last Aug. 23 as stated “Salamat po Mga friends Sa pag support Sa next chapter Ng pag kababae Ko, Sa pagiging pamilyadong buhay Ko, excited Ako Kahit nag gain Ako ng weight. So if this is true that Rufa Mae Quinto is pregnant, nothing to criticized her because she has a fiance which is Trev Magallanes. 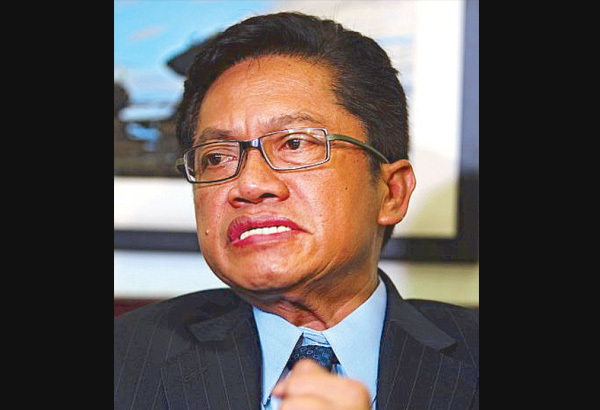 Former justice undersecretary Francisco Baraan III washes is hands over Sen. De Lima? 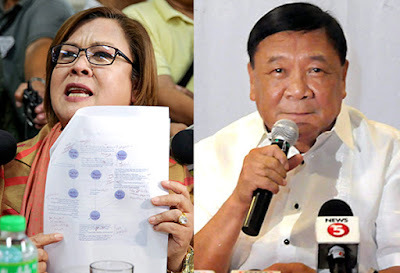 How pity is Sen. De Lima because of his former undersecretary had pointed her for all the transactions happened in NBP and other Penal Colonies. Former justice undersecretary Francisco Baraan III was appointed last September 2010 and resigned in November last year. Now that his former boss Sen. Laila De lima is hot water, he immediately denied the allegations that he is involved in NBP drug matrix. according to him " The BuCor is just one of several DOJ agencies under my limited administrative supervision... I never did oversee, either on the ground or from a distance, the prison operations in the seven penal colonies, more so the NBP,” he explained. “Folders of BuCor contracts/documents on my desk endorsed and reviewed by technical services, with the latter’s corresponding recommendation, are reviewed by me, then I countersign the action document for the secretary’s final signature, ” he said. President Duterte had warned Sen. Delima for the involvement of drugs. according to President Duterte. “she was on the take” from drug lords at the NBP where she was part of a “matrix” that included Baraan, a provincial governor who served time in the prison, a police superintendent and her former driver Ronnie Dayan. 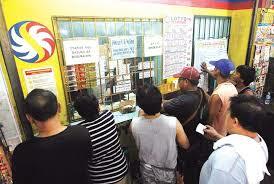 PHILIPPINE LOTTERY WILL BE UPGRADE INTO SMS LOTTERY RATHER THAN LOTTO OUTLET? Will SMS lottery soon be operational nationwide? This proposal had been pending a year ago. Now seems to have approval . And also these will be operational if the TELCO'S will agree on the proposal of PAGCOR. The proposal of share will be 70% goes to PAGCOR and 30% goes to TELCO'S. From the conventional method, the way people buy their tickets through lottery outlet, long lines in some outlets, it's time-consuming everybody. Very inconvenience for many and so hassle. Now with the new system of buying lotto tickets are just an easy touch to their individual phones. Those people with the phone and has the capability to buy lotto tickets can now access at their own comforts. Purchase tickets through SMS will be sent back to them as E-Tickets or Electronic Tickets. E-Tickets are safer and convenient than the usual way. lotto outlet is producing tickets using thermal papers which are prone to lose, crumpled, wet, etc. unlike e-tickets can be easy saved in every phone. What is the Advantage of SMS lottery? PAGCOR research and studies show that through SMS lottery selling the revenue will double or triple. and if these happened, of course, tax revenues will increase and for that many poor families will benefits. And as far as we know that President Rodrigo Duterte had mandated the PAGCOR that their tax revenue will go directly for medicine of poor people. 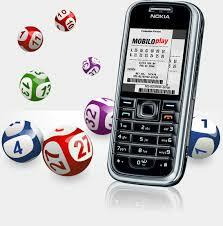 What is the Disadvantage of SMS Lottery? All lotto outlet franchise will decrease sales. and if this happens, of course, some lottery outlet will tend to close. one more disadvantage is more Filipinos will be addicted to gambling, even younger age will tend to gamble for the SMS lottery is easily accessible . Spend money wisely, gambling is a fortune. save for the future.